What happens is a rogue Task List called “Google Tasks” appears in a project with scores of tasks – usually one task duplicated over and over. Why it happens: This is caused by a known time sync bug in the Google API. 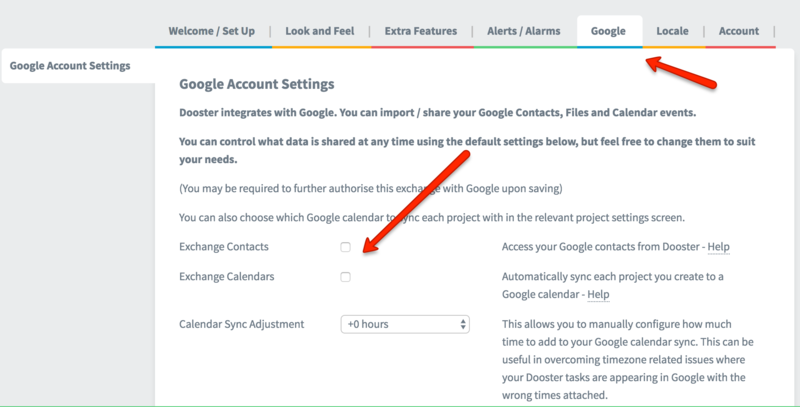 It is usually triggered by someone in your Dooster account changing the option (in your Account Settings) for syncing with Google – usually re tasks / calendar. But it’s not your fault – it’s ours and Google’s. How to solve it: Sorry it’s out of our hands. However there is a simple fix / quick workaround you can do yourself whereby you turn off the google sync for a short while. dates created during the downtime will also appear).